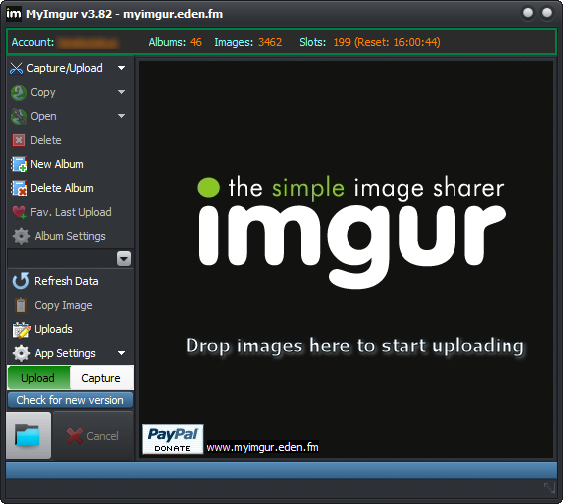 MyImgur is the most handy capture and uploader tool you’ll ever find for Windows computers. 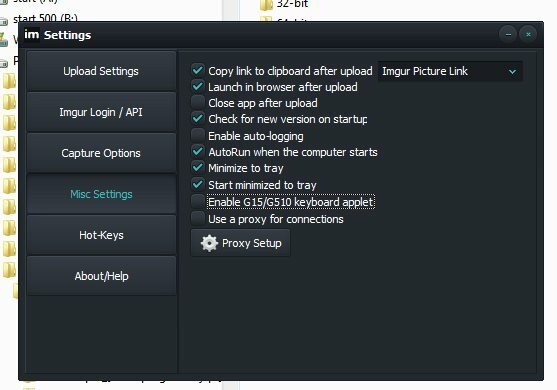 Intuitive 1-click actions and simple settings to very quickly capture areas of your screen or specific windows and send them to Imgur for sharing, or select a few files from your computer and drag them to Imgur to have them sent in a batch without any further actions. It is also the -only- desktop application with full Imgur account support. Disclaimer: The Imgur logo and “IMGUR” are trademarks of Imgur LLC and are used here for informational purposes only. 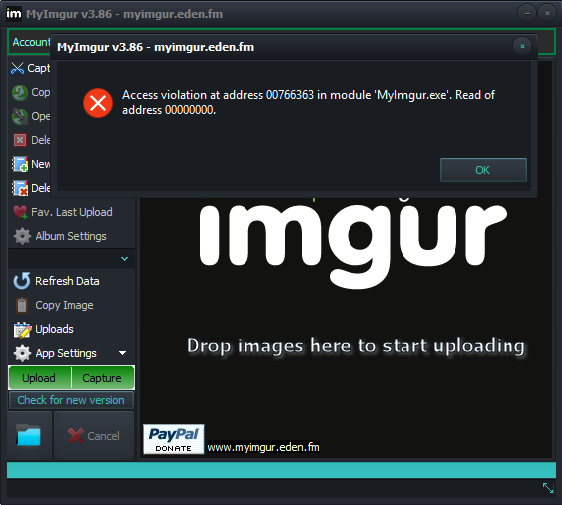 MyImgur is not affiliated with Imgur and has not been reviewed or officially approved by Imgur. Everytime I open MyImgur 3.86 it gives me the notice to upgrade: YES? or NO ? at the download for the 3.93 but NOTHING ever happens. I love your App. !!! But either help me with downloading the upgrade or please tell me how can I permanently opt for No? and NOT get the upgrade notification every time ! Maybe i should remove my present one and delete it? then download the new 3.93? FYI: I’m using Windows 7 with Chrome as browser. I love MyImgur, a huge time saver. A request for the future. Would it be possible to add (in Upload Settings) the ability to input a specific size? Currently, it has original and some fixed width options. I’d love to be able to downsize the images and maintain the aspect ratio. Thanks again! Sure, will do for next update. Is there a feature that upload a online images to imgur? I mean, I can’t find this feature that imgur have. 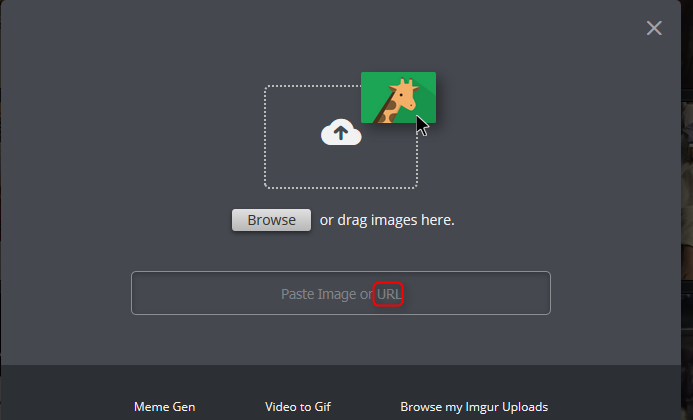 Imgur uses HTTPS, could you update your links to use HTTPS instead of HTTP !!? depuis ce soir My Imgur 3.91 ne fonctionne plus : une phrase incompréhensible en anglais apparait : “invalide pointer ….quelque chose !!!!!!!! c’est la première fois depuis des années : qui peut me guider soit pour dépanner soit pour m’indiquer un captureur/hébergeur d’images moins problématique que My Imgur ???? C’est urgent j’en ai besoin pour travailler sur mon ordinateur merci . Do you plan on adding a desktop capture feature? I find it to be really useful, if not that’s okay! I really like this program 🙂 thanks for letting us all enjoy it! I will add an option for that. I mean automatic copy after image being uploaded. Lately direct links seems to be broken for some people, that’s why I’m asking. yes, in the copy menu, or do you mean the automatic copy? I’m trying to have the screenshot directly on my clipboard so that I just press the capture key and I can paste the screenshot directly but it doesn’t work, every time I have to click “copy image” if I want to paste the image. It happens sometimes, restarting the app fixes it. Been using MyImgur for years. Can’t stop! Won’t stop! Love it! So after downloading the portable version ir finally worked fine, just in case anyone cares. same for me. just installed and the error comes each time I try to cut a piece of screen with the program. Hi, i’m trying to login to imgur from the myimgur app but the redirection points me to https://api.imgur.com/oauth2/authorize?client_id=&response_type=pin&state=auth and it says “Woah there! The information you sent wasn’t quite correct. Please return to the place that sent you to this page and try again.”. So i can’t do anything now with myimgur. Any ideas? I have the latest version. works fine for me, maybe a temporal issue? Maybe for next version 4.0, but that means making an image viewer/browser, it’s a lot of work. I am a little weird but I don’t have a smartphone. There is no way to implement that feature in Myimgur? All of that is about sorting images inside of album. I guess the only way now is through external apps. Have you checked opengur for Android? Also whole interface has changed for me, i.e. I have only these options: http://i.imgur.com/b4bZmPB.jpg and only renaming the album and button “Done rearranging”, with abilities to only manually drag images on screen. No more sorting. That’s why I actually asked. Ahh you meant inside albums. There is nothing in the API to sort album images. 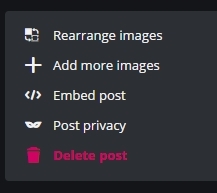 Lately Imgur removes all the settings, last month we’ve lost “Sort by” menu in “Rearrange images” page. Is it possible for you to recreate sorting by filename, date of uploading ascending/descending right in MyImgur? Hi, is it have an result URL box of multiple image uploaded ? 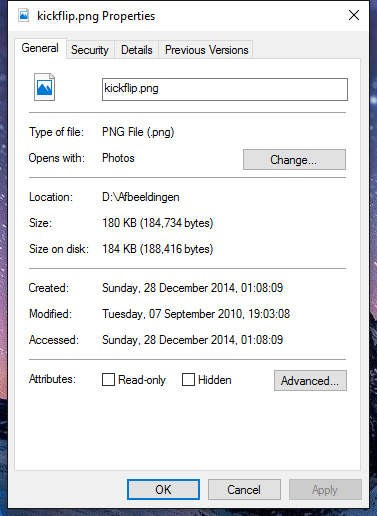 Click on “Uploads” and right-click on “Current Session” tab to copy all uploaded URLs. Sorry for a late reply, yes, I’m on 3.86, also happened on previous version though. Resolution is 1920×1080. Strange thing is, it only happens on specific windows, image properties is one of them. Can you reproduce the error each time? Are you using 3.86? what’s your screen size/resolution/dpi setting? Check the forum again, updated the info to use Imgur’s API instead with your own App keys. Thanks again, I would never have found that! Working good so far, exactly what I wanted – marquee select, wait, click the Win 10 notification to get the imgur link.